All cymbals provided by my good friends at Sabian. 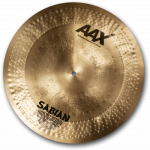 The best cymbals out there! A huge thank you for all your years of support!